Every bride is different from the last one. Every wedding is different than the next one. Yours is very special because it is yours. 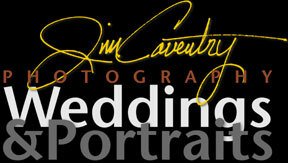 We will cusomize your wedding photography, based on you and your grooms desires. Our high quality images often rival pieces of art and during the wedding and reception, we're everywhere capturing images of the moment not just snap shots. We do all the traditional shots needed at all weddings. Then we get candid/photo-journalistic with the balance. It's more lifestyle and not all staged. We shoot all our work in color, but offer black and white prints - even the hand colored look for those images that beg for extra attention. We don't put a time limit on the day. Your friends or family are welcome to shoot along with us. Pre wedding portraits are done a week or two before the wedding, and can be of just the bride or both the bride and groom. To discuss other packages contact us by phone or email.